Madison could be home of "Utility of the Future"
It’s no surprise that Madison is a place where people are actively engaged in envisioning the future of energy generation and transmission. It’s the kind of thing we’re good at here. 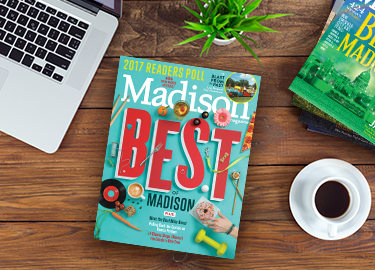 And the mix of science, technology, creativity and good old-fashioned activism is an attraction many Madisonians find irresistible. But Madison is about to embark on a shared journey, real first-in-the-nation stuff, that would set it apart as a place in control of its destiny. The result would be a Community Energy Partnership that would position Madison as a national, if not global, leader in how it powers itself. Beginning this month, Madison Gas and Electric will convene the first of an anticipated fifty to one hundred Community Energy Conversations, in response to what utility president and CEO Gary Wolter calls a “threshold of transformational change” for his industry. Wolter and others know new technology is on the horizon—fuel cells, solar collectors, wind turbines and more—that will be more effective, cheaper and cleaner energy providers than what we have currently, especially coal. This raises significant questions, not the least of which is the impact on MGE’s responsibility to maintain “the grid,” essential infrastructure still needed despite more so-called disruptive technologies, as well as expectations the community might have for its local energy company. The invitation also fulfills a promise MGE made following the most recent rate restructuring approved, with some customer dissatisfaction, by the Public Service Commission. It is also not unprecedented. MGE conducted similar community conversations ten years ago that resulted in significant changes: the elimination of coal at the Blount Street plant, an increase in wind resources and a “green” pricing program. But the scope of this round of Community Energy Conversations is unprecedented, as is the potential result. So MGE went looking for a partner in designing and facilitating the process, eventually hiring the consulting firm Justice & Sustainability Associates, whose CEO Don Edwards will lead the effort. The importance of this cannot be overstated. As odd as it is to say of a company with the near-impeccable reputation of MGE, some folks question the utility’s motivation. This is a company owned by shareholders, after all, and while it is regulated by the state, the size of the monthly bill is always a concern, understandably. Trust will be essential. JSA’s business description includes “the creation of technologically smart, culturally competent, environmentally secure, economically just, moral, humane ‘beloved communities’ across the world.” It’s a priority for Edwards that the process reflects that commitment. He sees that possibility here. Edwards says he’s excited about beginning the Community Energy Conversations and helping MGE and Madison be home to an example of a “Utility of the Future.” So am I. Copyright 2015 by Madison Magazine. All rights reserved. This material may not be published, broadcast, rewritten or redistributed.